Well, I browsed Air Asia's website for destinations where I've never been to, within an affordable budget. It came down to Chiang Mai, Chengdu, Macau, Manilla and Kathmandu. I wanted somewhere more exotic and different from a typical SEA climate and scenery. 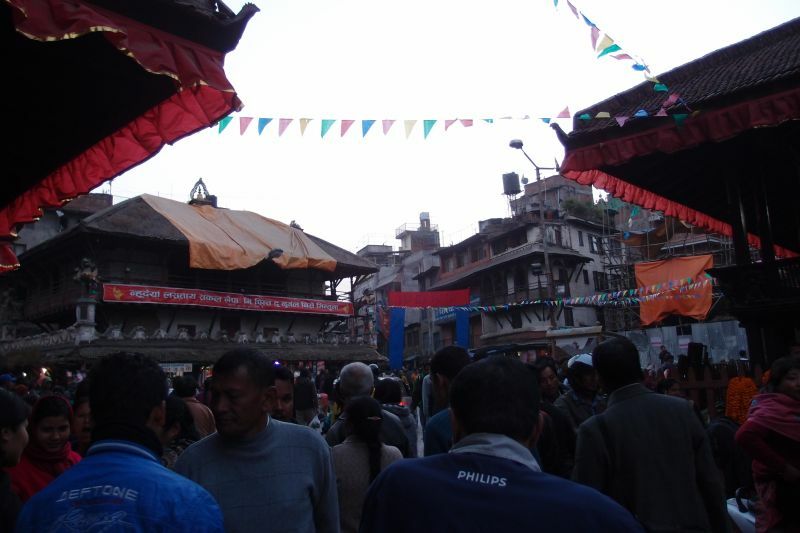 So that left me with Chengdu and Kathmandu. Since it was only about 3 weeks prior to making the trip, I wanted to be independent of travel agents. So Chengdu was out (can't speak Mandarin, require a tour guide). 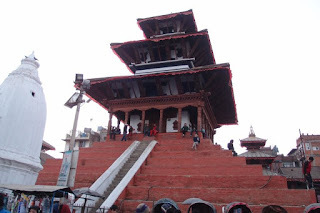 That left me with Kathmandu. I'd done some research on Nepal - English is widely spoken, easy access to vegetarian food (in lieu of Halal food) and the snow capped mountain view is breathtaking ( I've always wanted to go Kashmir - but due to security reasons, I've put this off a few times). 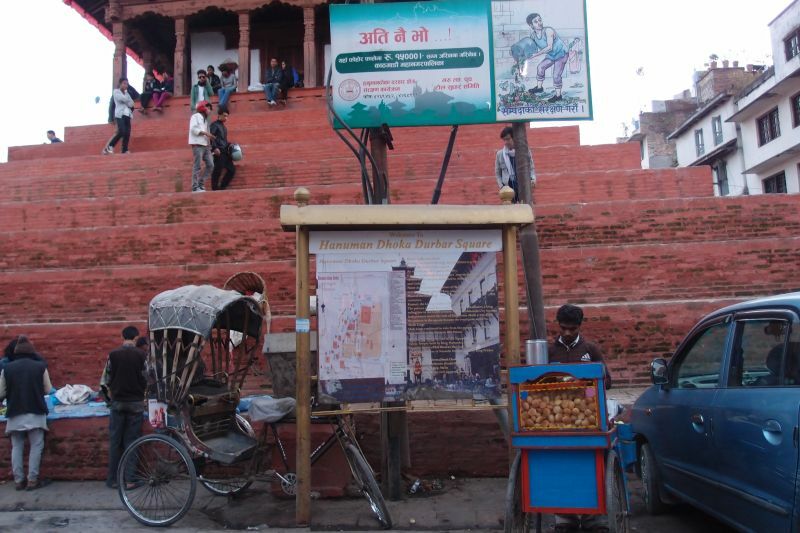 So Nepal it is! 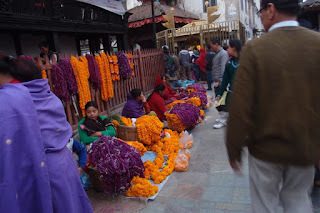 Flight ticket KL-Kathmandu-KL (with meals, no luggage) costs us RM 1603.50 per person. Total amounts to RM 2629 per person for a 6D5N trip. Not bad! Flight was quite full, it was after all the Deepavali holidays. So a lot of Nepalis were going back home to celebrate. Since we were travelling independently, we decided to do the visa on arrival. 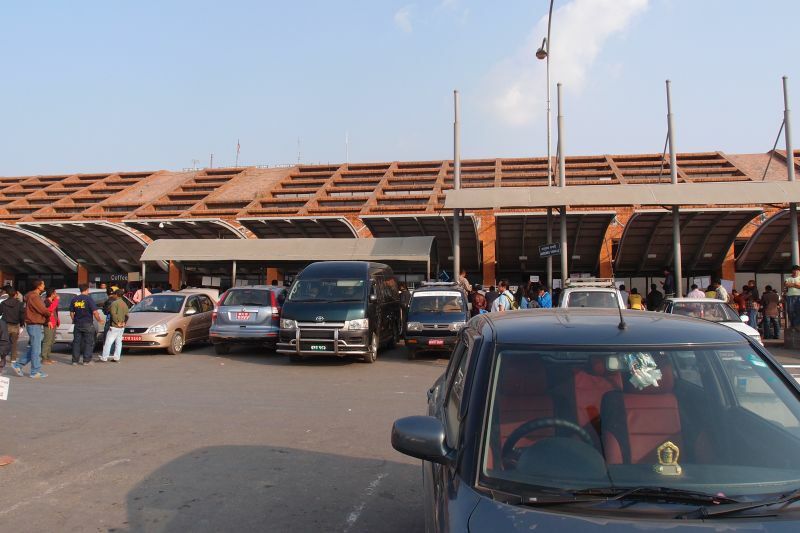 It was a really simple process - when we arrived at the airport, clear signages were on display to direct us where to get the forms and where to queue for the visa application. 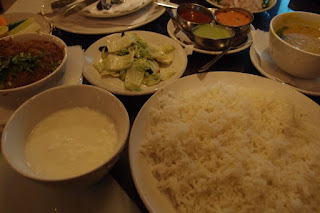 It cost us USD25 / person for a 15 days multiple entry visa. So next time better maximise the duration and do a minimal trekking of 7 days. Probably will be my next goal :) The person behind me was applying for a 30 day visa while the one in front of me applied for 2 weeks. Queue was quite long, but fast. After getting our visa done (just a simple paper notification pasted on the passport), we had our passports cleared at the same spot - each counter was manned by 3 persons - each taking care of their respective tasks. So it was convenient :) Oh yes, for visa on arrival application, please bring along a passport sized photo along. If you didn't, there is an instant photograph booth there. 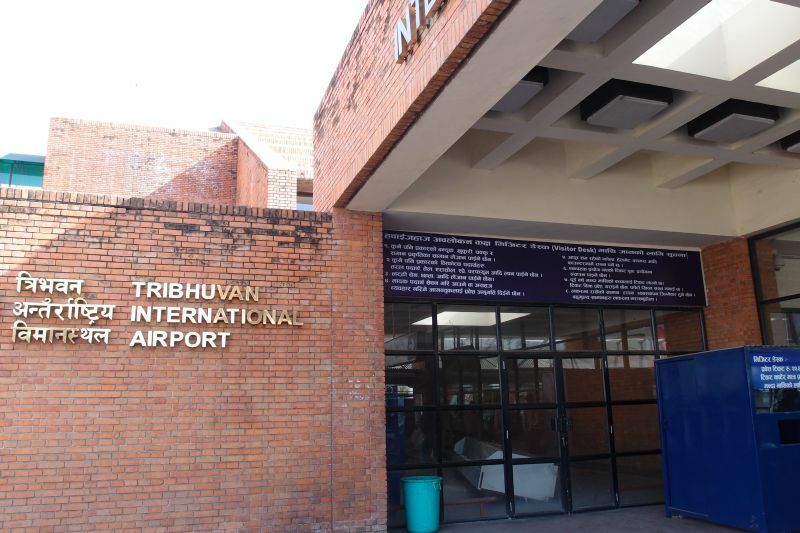 Oh yes- about the airport - the Tribhuvan international airport at Nepal's capital Kathmandu is a very simple building made up of unfinished red bricks. 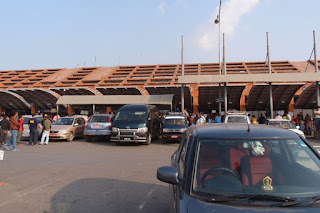 There were no connecting tunnels from the plane to the airport, we had to disembark from the plane, walk a bit on the tarmac then board a bus to the terminal which is actually very nearby and walkable. I guess because this is an international airport, they would not let us walk on the tarmac. At the terminal, we were greeted by advertisements of Ruslan vodka. 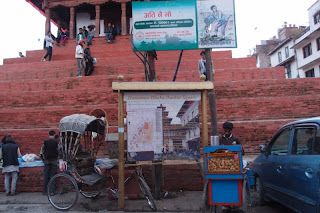 The city of Kathmandu is still years behind - it was like living in the 80s. 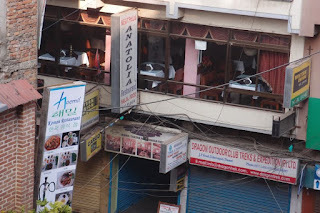 Electric wires by the roadside were dangling and tangled. If there is a power cut, it would be a hassle to find the source of it. And power cuts are very frequent. So that's why our guest house is equipped with generators for back up power. 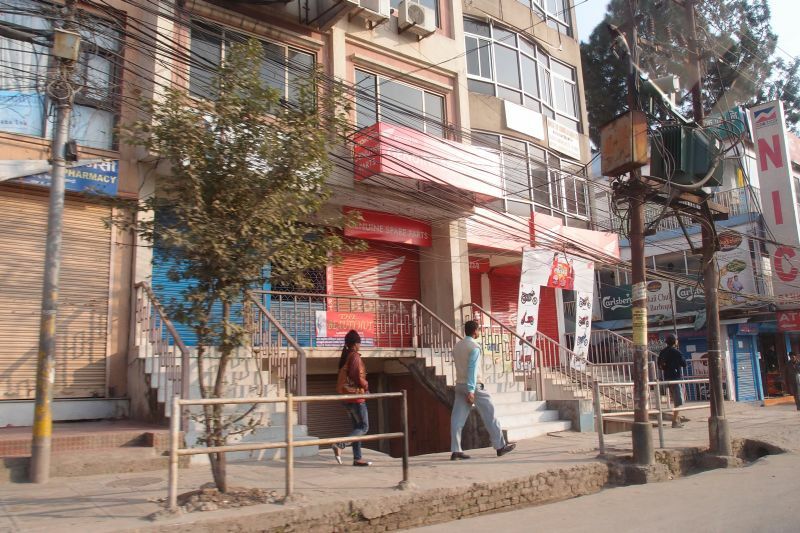 As we were approaching Thamel where we would be staying, the roads became narrower, more dusty and busier (humans and vehicles on the road!) 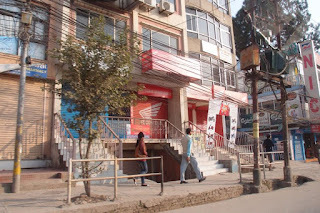 It's advisable to wear a mask as the roads in Kathmandu are really dusty (similar to Ho Chi Minh / Hanoi). Our bags had black patches and even our nostrils were dirty (yup black!) from filtering the dust. It was really chaos. Not for the faint hearted / people looking for a relaxing holiday. Thamel is the centre of the tourist belt - with rows of shops selling souvenirs and local trinkets / buddhist prayer items. 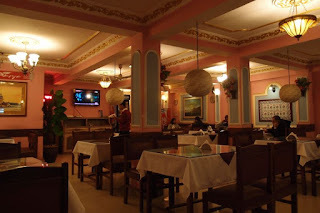 We would be staying at Khangsar guest house (1 star) for 2 nights which cost us 18USD (RM 55) per room per night with an attached bathroom with hot shower. The room is a bit dodgy, lights dim and the tv could not be operated. 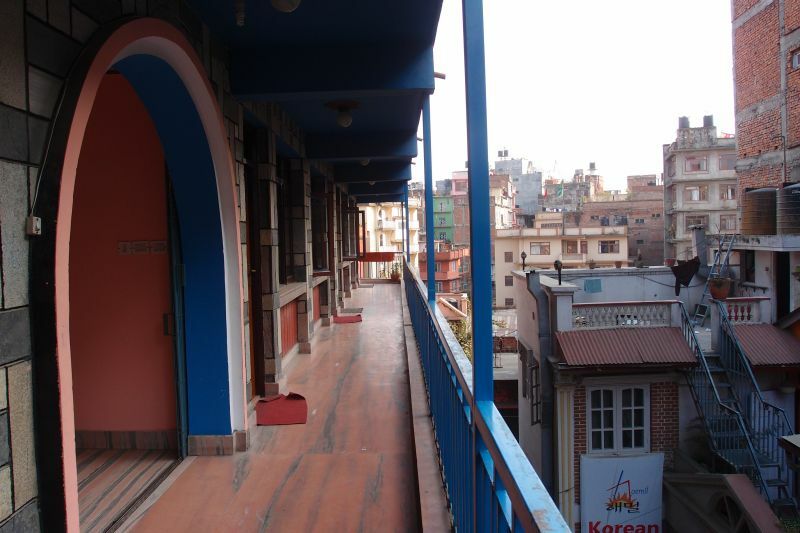 Our rooms were on the 3rd floor and there's no lifts. 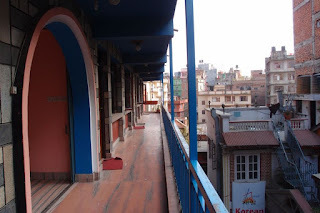 There's a balcony outside the rooms and a rooftop view verandah. Since we won't be spending too much time in the room, we could bear with the not so inviting room. But that's what a RM55 room is worth. 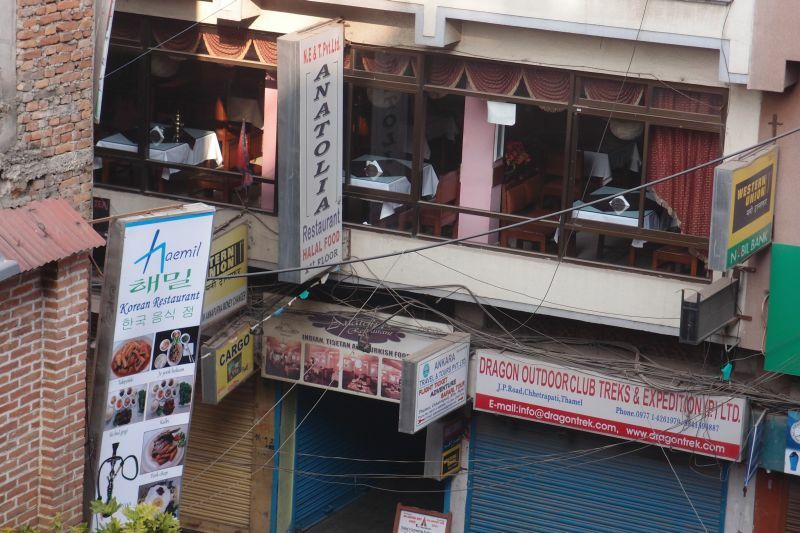 Luckily though, a halal restaurant - Anatolia is just opposite our guest house - we could see it from our balconies. 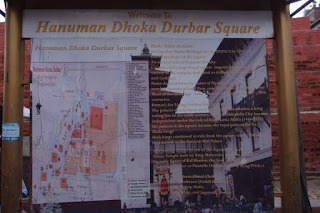 Before dinner, we walked about 15 minutes to the nearby Hanuman or Kathmandu Durbar square (Unesco heritage site), but was quite disappointed with it as there wasn't much clear signages and there were lots of people with cars and motorcycles buzzing past. It was really chaos! We just took some pictures and quickly left for Anatolia! 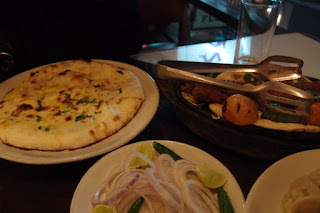 So the first evening was spent there - enjoying a Nepali meal (steamed rice, buffalo curry - the curry is thick and yummy!, cheese naan - naan was thin and crispy! 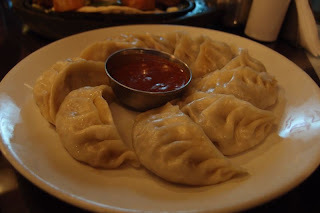 and Tibetan food - chicken momo - this is like chinese dumpling. After a fulfilling meal, we sat down with Rajendra - the manager in charge on taking a city tour of Kathmandu. 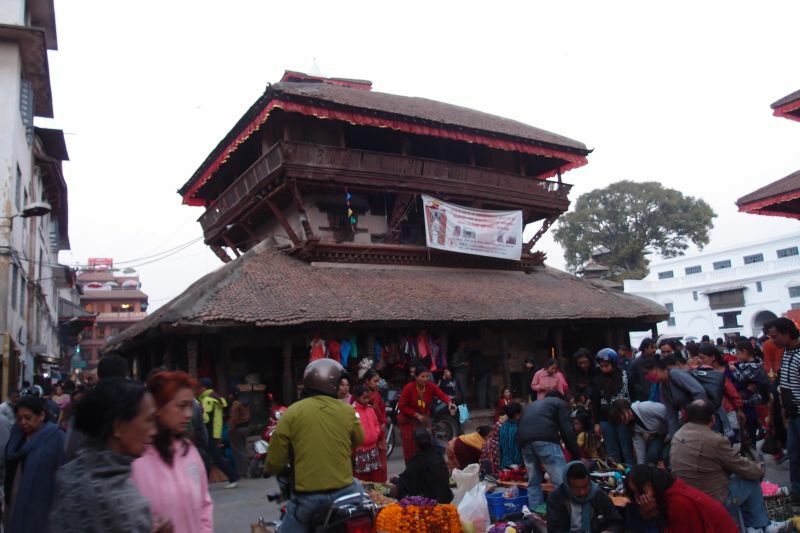 We agreed to the price of USD35 for 2 persons which includes transportation to Swayambunanth or Monkey Buddhist temple , Patan Durbar square, Pashupatinanth Hindu temple and Boudhinanth Buddhist temple. 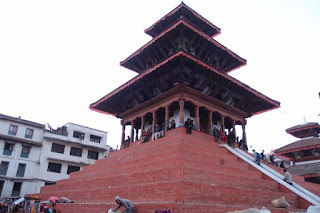 All four are a part of Kathmandu Valley Unesco Heritage site. Then it was time to sleep. Tomorrow will be another exciting day!